It doesn’t matter how old you are; it’s never too late to start exercising. That’s not to say you need to be thinking about running a marathon or pumping weights for several hours every day. When you get older, it’s only natural to slow down a little, and there are numerous reasons why this might happen. For example, you could have issues with pain or your weight, or you may have health problems that restrict your mobility. It could be the case that you think exercise isn’t for you. If this is your train of thought, this article is for you. As well as being beneficial for an individual’s mental health, exercise is crucial for people who have arthritis. This is because it can help combat fatigue, and also reduces joint pain. The strengthening of muscles around your joints through motion exercises will generally see you improve your mobility, as opposed to not exercising at all which can cause you to become stiff over time and suffer further joint pain. You can find arthritis aids that can help you if you suffer from arthritis. Arthritis gloves or arthritis cream can help sufferers with day to day aches and pains, and for additional arthritis relief, a copper bracelet for arthritis can deliver copper to the surface of the skin. Live longer: Studies have shown that a sedentary lifestyle is one of the leading causes of death and disability. Even the gentlest of exercise, for example, swimming or walking, can increase your lifespan by as much as five years. Just because you use a quad cane, for example, doesn’t mean you can’t exercise often. Reduced risk of stroke or heart disease: Cardiovascular exercises, such as cycling, light housework or brisk walking, increases the blood flow to your heart and improves your health overall. Improved bone density: When you get older, the risk of developing osteoporosis and fractures increases. Exercise such as walking or jogging helps to increase the strength of your bones. 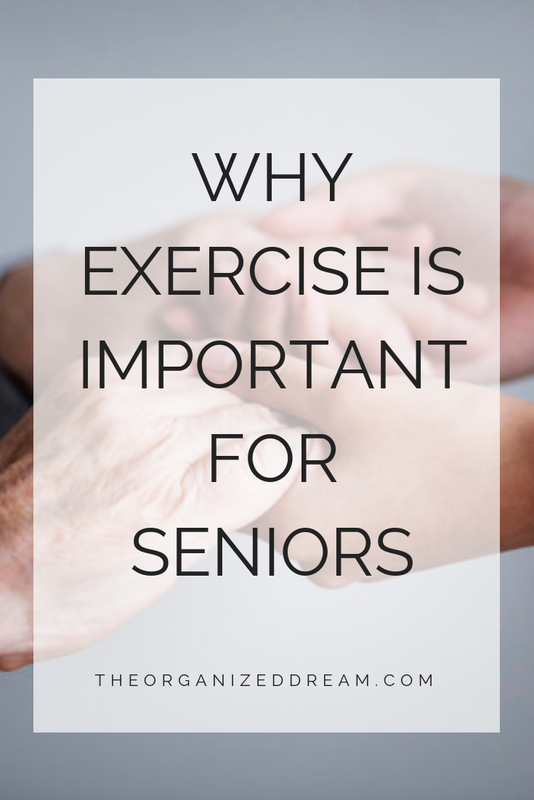 Improved muscle strength will also improve your balance and reduce the risk of falls. Reduced risk of developing dementia: A study has shown that seniors who did not exercise were more likely to develop a debilitating illness, such as dementia than those who did. 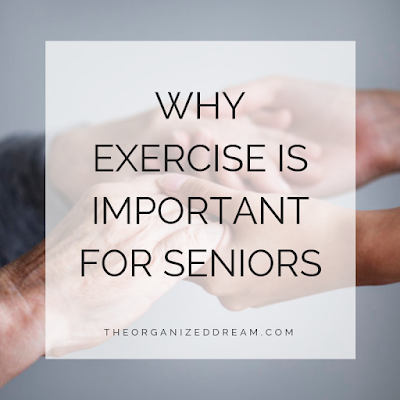 As well as the above benefits, regular exercise will increase your confidence and independence. You won’t be so worried about falling, and your functional reach and balance will improve. 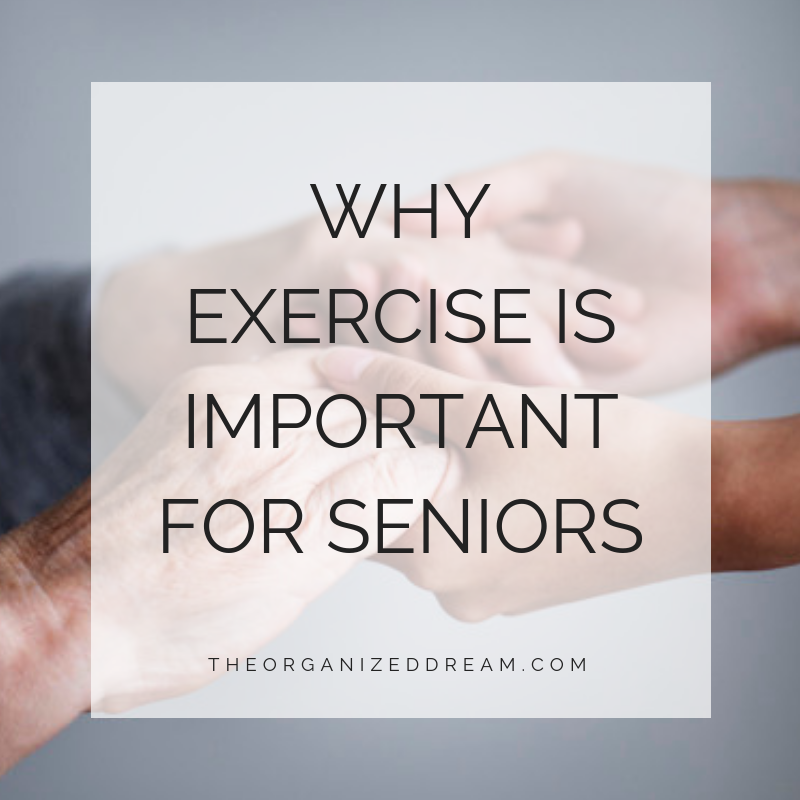 The fact is that you’re never too old to start exercising. Adults who become more active when they get older show huge improvements in their mental and physical health, more so than younger people who start exercising. Keeping fit is not a science, and there are several different types of physical activity that will help get you moving. The most important thing is to find something you truly enjoy doing. As long as the activity is based on the four building blocks of fitness, balance, cardio, flexibility, strength and power training, you’ll be doing some good.